Sutton Brown said he has assisted hikers working hard to complete the entire or parts of the Appalachian Trail since the late 70s. 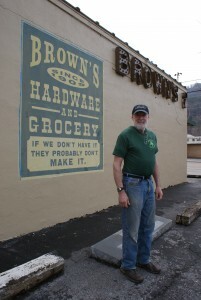 Sutton Brown stands outside of his business called Brown’s Grocery in Hampton, Tenn. These days, hikers still have a chance to meet him at or around U.S. 321 in Hampton, Tenn. However, in 1910 the sites that are home to his businesses, Brown’s Grocery and Braemar Castle, served people working hard to make a living in the lumber trade. 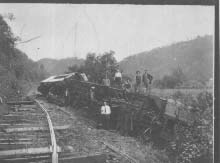 In the early 1900’s Pittsburgh Lumber Company built a small railroad called the Laurel Fork Railway to assist in transporting lumber to the nearby sawmill in what was then called Braemar, Tenn. Parts of the railroad grade in the Pond Mountain Wilderness now contribute to some of the AT, said Brown. The hostel, which is within walking distance of the grocery, once served as housing for top officials of the Pittsburgh Lumber Company, according to the Elizabethton Star. 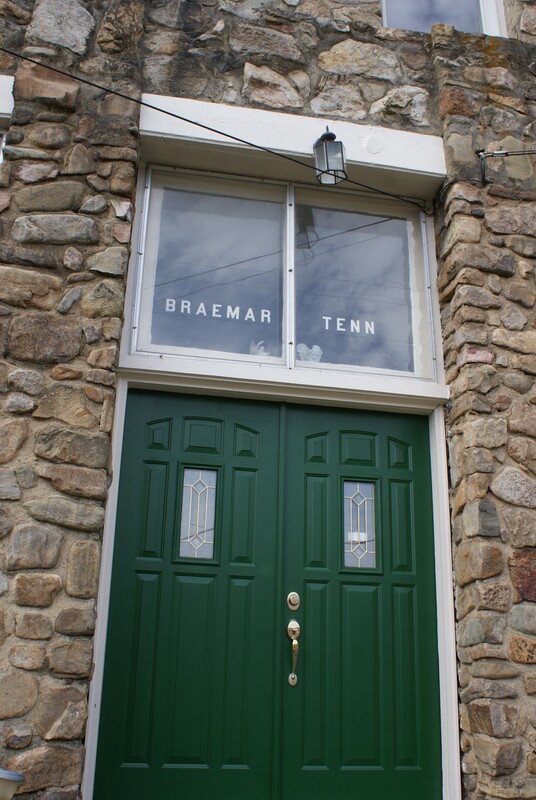 The hostel also housed the commissary and was the post office for Braemar, Tenn., Brown said. The current hardware and grocery store was carried over from the lumber company days when it may have been known as Braemar Supply Co., Brown said. Pittsburg Lumber Company. Shows log pond and mill. After the Depression, Brown’s grandparents L.W. and Della Brown returned to the area. Della ran the grocery and turned the former post office into a boarding house, both of which are local landmarks today. L.W. returned to work for Tennessee Eastman, but was formerly a foreman for the lumber company, Brown said. The current business needed room for expansion and was moved out of the lumber company office building to its current location. While it may take years for some to realize, Brown was also quick to decide that there was no place like home when he came back after college to take over the hostel and grocery. The hostel can hold around 15 hikers at a time. 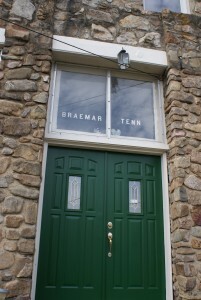 The hostel once served as the Braemar, Tenn., post office. “The name came from some folks who had been at Braemar Castle in Scotland,” Brown said. Most would agree that Brown offers a one-stop shop for Appalachian Trail hikers with both food, supplies and lodging. “People just started showing up at the door,” Brown said about AT hikers the first year running the business in 1976. It’s safe to say those hikers were looking for food and probably some shelter other than what they had already carried for miles. Essentially, Brown said he sees the work he does to help hikers as a way to build up good karma and pay it forward from all the people who have helped him. “As an outdoor enthusiast, I have had the opportunity for a lot of folks to help me out,” Brown said. Brown takes pride in providing a place for all nomads alike to find a slice of home. “It’s always nice to know you have a home to go to away from home,” Brown said. 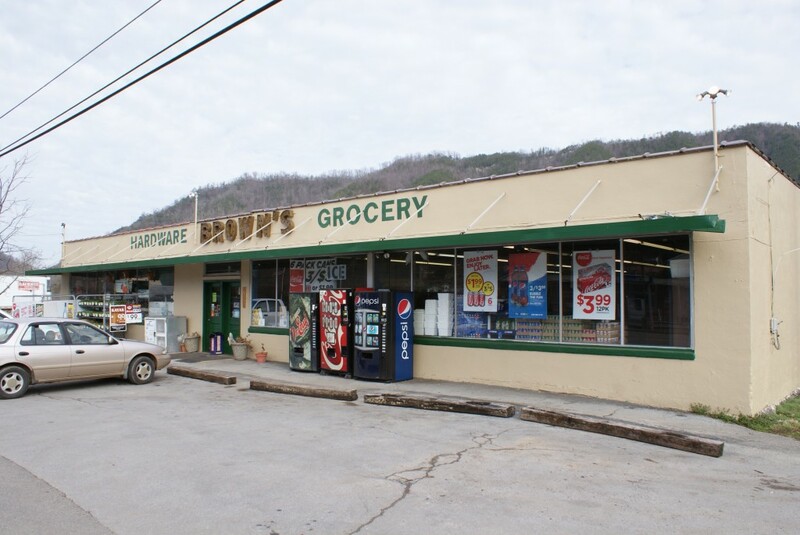 For more information, call Brown’s Grocery at (423) 725-2411. Hikers who have made their way to Hampton, Tenn., can resupply at Brown’s Grocery owned and operated by Sutton Brown, who also runs the hostel nearby.